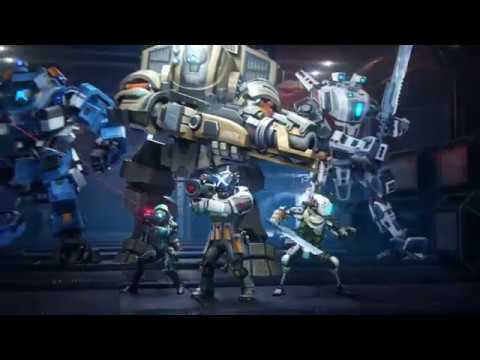 Two major titles have arrived on iPhone and iPad as free-to-play titles this week, with Nexon's 'Titanfall: Assault' introducing real time strategy to the battlefield-based franchise, while 'Ristar' has been ported to iOS 22 years after its first release on the Sega Genesis. A real-time strategy game based on the "Titanfall" first person shooter series has arrived on iOS. Available to download from the App Store, "Titanfall: Assault" is set in the same game universe as the original series, but exchanges fast-pased shooting with top-down, squad-based strategy and deck building. Commanders can create squads of pilots, Titans, and "Burn Cards" to match their playing style, with each card type having different effects on the battlefield. Pilots can control key locations on a map and move fluidly, Titans can hold lanes and take on turrets, and Burn Cards add extra battlefield support at times of need. Used between battles, the Hangar view shows the player's cards and allows them to experiment with different squad combinations. Guilds let players group together to take on weekly guild objectives, share replays, and to challenge others to friendly matches. Created by Nexon, Respawn Entertainment, and Particle City, "Titanfall: Assault" is a 123-megabyte download and is compatible with the iPod touch, iPhone 5s, iPad Air, and iPad mini 2 or later running iOS 10.0. The game is free to download, but offers in-app purchases for game tokens and assorted bundles. Sega has expanded its "Sega Forever" mobile gaming initiative to include one more game, with the lesser-known "Ristar" joining the roster of classic titles already available in the program. The platform game, developed by Sonic Team for the Sega Genesis console in 1995, has been ported to iOS for the first time, bringing the character to a new generation of players. Similar in concept to "Sonic the Hedgehog," the game tasks players with guiding Ristar through six planets of the Valdi star system, taking on bosses and destroying minions of antagonist Kaiser Greedy. Instead of speed, "Ristar" uses extendable limbs to swing and grapple through the levels, while a "Shooting Star" attack will destroy multiple onscreen enemies at the same time. As with others in the Sega Forever collection, "Ristar" is a free download from the App Store, requiring iOS 8.0 or later and taking up 190 megabytes of storage. While it is a free-to-play title, an in-app purchase of $1.99 will remove all advertising from the game. Other games under the Sega Forever banner include "Sonic the Hedgehog," "The Revenue of Shinobi," "Altered Beast," "Virtua Tennis Challenge," and "Comix Zone." I'm a big fan of Titanfall. It is unfortunate that TF2 didn't sell as well as it should have, but I am looking forward to playing this mobile title.